Time passes by in the blink of an eye. 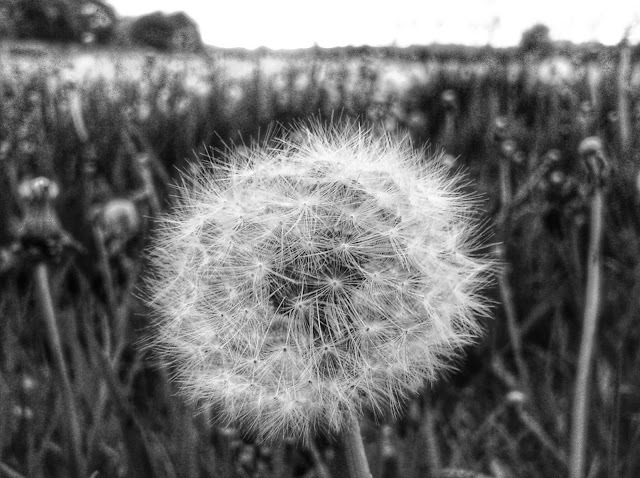 The fragile dandelion clock stands in a field stretching out towards the setting sun. Waiting for its moment to fly.